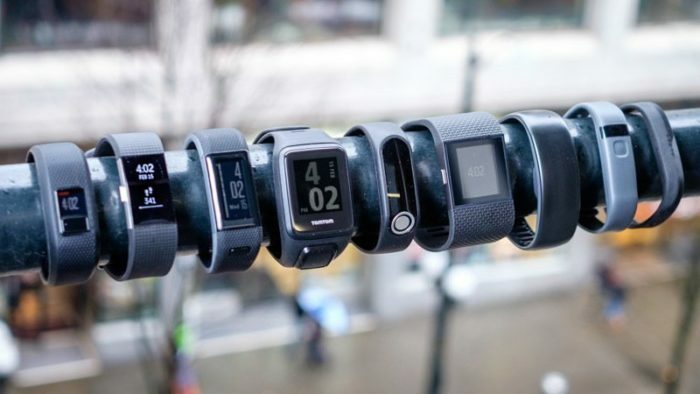 Fitness trackers are becoming increasingly popular – from athletes to those looking to better monitor their activity, it seems like everyone is getting in step! But with so many options on the market, it can feel overwhelming to find a model that will measure what you want, with accuracy, to help better achieve fitness goals. That’s why the research team at Reviews.com put together this helpful guide to help you better make the decision that’s right for your lifestyle and wallet. 2. They identified key features: wireless syncing, activity notifications, water resistance, a minimum one-year warranty, and unisex design for maximum comfort. The Garmin Vivofit 3 had the most features of any fitness tracker and at one of the lowest price points. Throughout testing, this model had no syncing and pairing issues and had a long-lasting battery rather than a rechargeable one, making it require less maintenance. 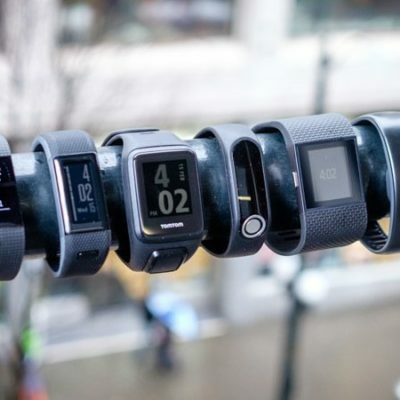 The FitBit Charge included a user-friendly app and monitored heart rate and calorie burn trends, as well as a very intuitive interface to make tracking more simple. The Vivosmart has just about every feature you could want in a tracker (GPS, heart rate monitor, calorie tracker), and is completely waterproof so it can be used to track swimming! False positives are more common than you may think in these devices. None of the devices tested were 100% accurate, and often step count numbers were inflated. Remember: if you’re looking for precise health information like your heart rate, speak with your doctor about which device is best for your situation. Every brand’s sensors use the same base level sensor technology. The main difference is how data is interpreted from the sensors by each model’s algorithm! Ultimately, comfort and ease of use is the most important characteristic of any tracker. Before you decide on one, shop around and evaluate your needs. For more information and top picks, check out Reviews.com’s full study!